We can't understand why Mercedes didn't just buy its own Model X for testing. When the time comes to benchmark an upcoming model, car companies will go out and buy an example of its competitor in order to find out what makes it so good. We've seen this practice in the past when McLaren actually went out and to test what eventually became the 570S. We know that Mercedes is currently , so it only seems logical that the company wanted to get its hands on a Tesla Model X for comparison. Strangely, Mercedes didn't just go out an buy a Model X, so that it could have unfettered access to it. Instead, German magazine Spiegel reports that Mercedes rented a privately owned car from the rental company Sixt. 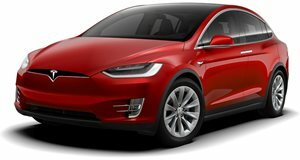 According to the report, a German couple decided to take a vacation in Sicily, and wanted to lend their Tesla Model X to the rental company Sixt for some extra cash. Sixt then loaned the car to Daimler, the parent company of Mercedes-Benz, who decided to absolutely trash it. Mercedes reportedly took the entire car apart and rebuilt it before handing it back to Sixt. The German company also brought the Tesla to its test track in Sindelfingen, where it performed heat and vibration tests. 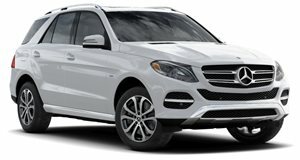 Mercedes also reportedly drove the car as far as Barcelona, Spain, which with Sixt. After the couple realized that their car had been damaged, they reported their grievances to the rental company who estimates the damages to be “in the five digits,” approaching six-figures. We don't understand why Mercedes didn't simply buy its own Model X for testing, but it seems like the company will be on the hook for the damage that it caused to the couple's Tesla. This issue will likely be resolved privately, but it certainly was a strange incident.